HeyPlantMan! Exotic Tropical Plants from St. Pete FL: Rainbow River..here we come ! 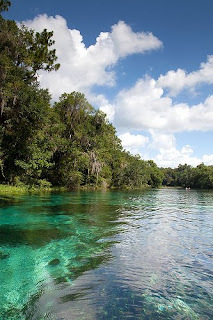 Rainbow River..here we come ! Can you say vacation? Well, as you know, in our business, it's hard to take time off, but this weekend, we are taking a couple of days to stay up at Rainbow River to regroup, refresh and enjoy the last weekend we will have off for the next 8 months !